This blog features papercrafting projects including scrapbooking, cardmaking, altered art, stamping, and gift ideas. Be sure to leave a comment on all the participating blogs. The winner will be announced on the HC blog and on FB on Wednesday May 30th, 2018. Be sure to email Heartfelt Creations at socialmedia@heartfeltcreations.us with "Winner of the May Alumni Hop" in the subject line. The sentiment card is from Heartfelt Love Paper Collection. 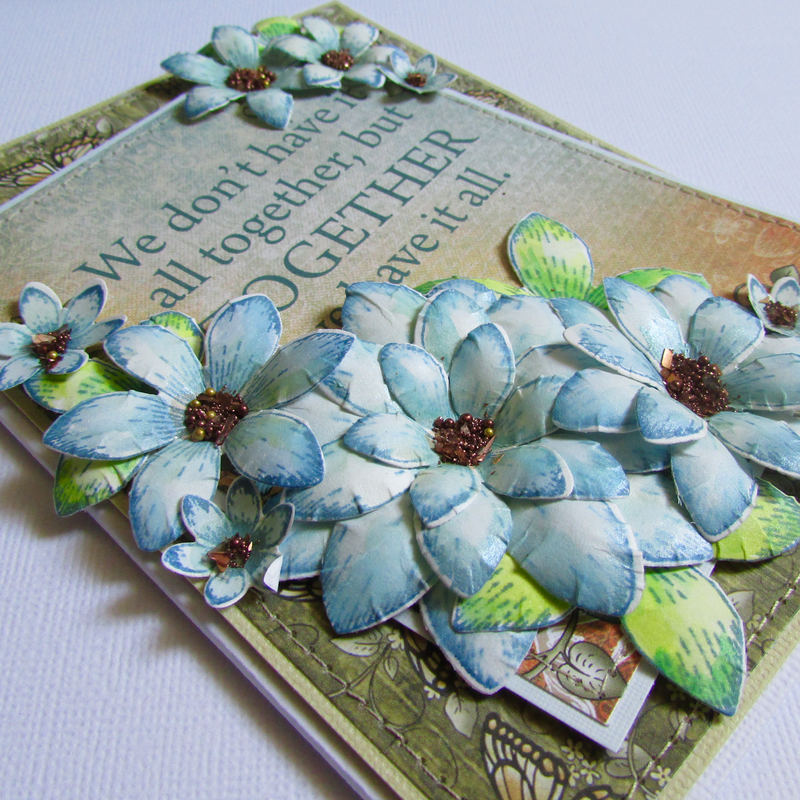 These flowers were stamped and cut from Sun Kissed Fleur stamps and dies. I stamped the flower with Tim Holtz distress ink and watercolored them. The centers are filled with brown Gala Glitz. I always like to add machine stitching for texture. Wow! Such a pretty color combination, Alissa! I love the added stitching! Your flowers are gorgeous! Thanks so much for hopping this month! Happy Memorial Day! Beautiful card with a great saying. Love the stitching. I don't have these flower dies and stamps, but would be a wonderful addition to my Heartfelt collection. Pretty card - love the sewing and the tilted panel! Such a sweet card. Love the saying. I absolutely am in love with those shades of blue and green that you used for the flowers and leaves! They look so perfect together. I love what you did with the flowers! I have to admit, I like flowers created from paper rather than ready-made flowers on cards. Thanks for your absolutely beautiful creation! Love this card, the sentiment, the flowers, the stitching, and the colors. Beautiful! Soooo pretty. I love that you sewed the edges. Totally love the blue flowers and gorgeous butterfly paper. The blue flowers, and stitching---great! I love this old set. Also like how you colored the flowers to pop against the muted background. Your project is amazing. Loving the color of your flowers! I love the colors and the flowers are beautiful. What a terrific sentiment! Lovely flowers with terrific centers!! Beautiful card. I love the blue flowers. 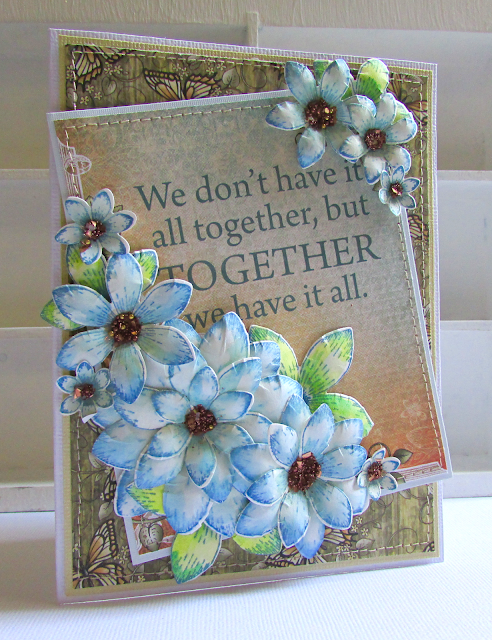 Beautiful card, love the blue flowers and the saying! I love this card. Love the colors and the added stitching. Beautiful!! 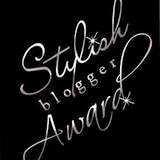 This is such an amazing blog hop and I'm enjoying every one of the blogs! The colors on this card are gorgeous! And I love the dimension of the flowers!!!! This is an amazing card! Thanks so much for sharing! This is absolutely stunning. Blue is my favorite color. Fabulous card The flower centers look so pretty. I love all things papercrafting, particularly stamping.